The Encore Group is a North East based business that are specialists in packaging, envelopes, and print. 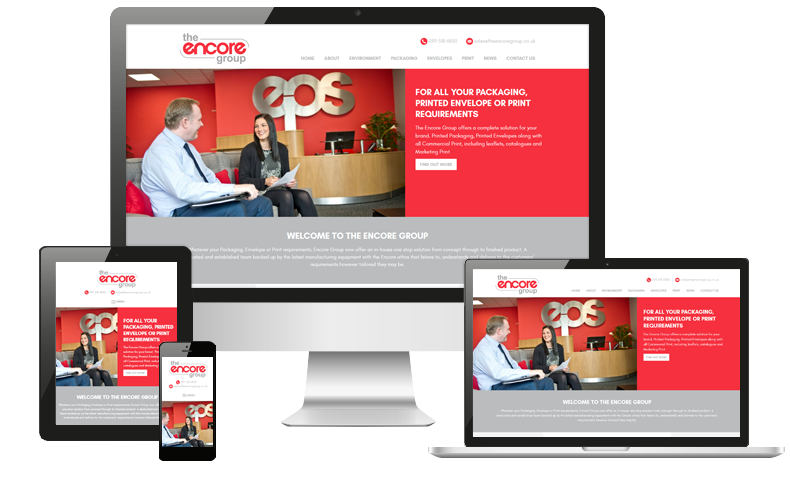 We were approached by the Encore Group as they felt that their website needed to be updated to better reflect the key aspects of their business. It was important to the Encore group that their new website was easy to manage by themselves as their current site didn’t have this functionality and meant they had to rely on others for updates. Using their existing branding we designed a clean, bold website that complemented their existing marketing material. The site is a fully responsive design and was built in WordPress, an easy to use CMS platform that will allow the Encore Group to maintain and update their website as well as add the latest news and press releases.